Our veterans deserve the finest healthcare available, especially in their later years. 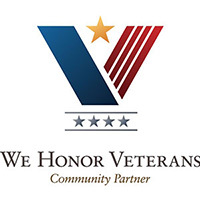 At Washington Square Health Care, we are honored to be the only VA provider in Trumbull County. 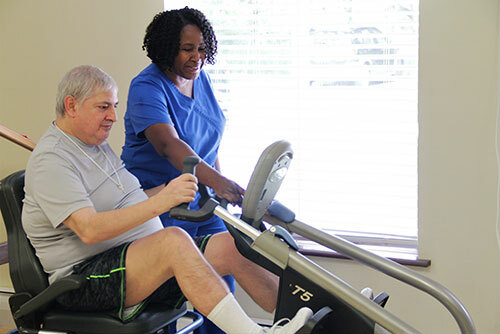 Our facility in Warren, Ohio features the services of nurses and staff members who are passionate about health care and giving all of our residents the best possible quality of life. This high quality of compassion and healthcare is our small way of repaying the debt of gratitude we owe to our veterans. Why choose our veteran services? Physical therapy. We help to restore range of motion, flexibility, strength, gait training, balance, endurance and coordination. Occupational therapy. We assist residents with daily self care, including grooming, eating and making up for loss of vision, hearing or sensation. Speech therapy. We have trained speech therapists who assist with language, communication, hearing, swallowing and memory. Wound care. We use wound vacs, ultrasounds, pulsed lavage, high volt electrical stimulation and more to treat wounds of our residents. Social services. We act as advocates for all of our residents, assisting them with their families and giving them everything they need to be comfortable whether they are with us for long- or short-term. Additionally, we provide hospice care, respite stays, rehabilitation therapy and short-term care. Contact our skilled nursing facility today! If you have any questions about our facility or would like to take a tour, we would be happy to assist you. Email bdd@washingtonsquarehc.com or call us at (330) 399-8997.